1. 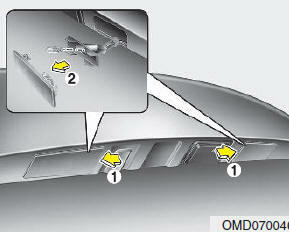 Remove the cover by pressing it as direction of the arrows. 2. Remove the bulb by pulling it straight out. 3. Install a new bulb. 4. Reinstall in the reverse order.